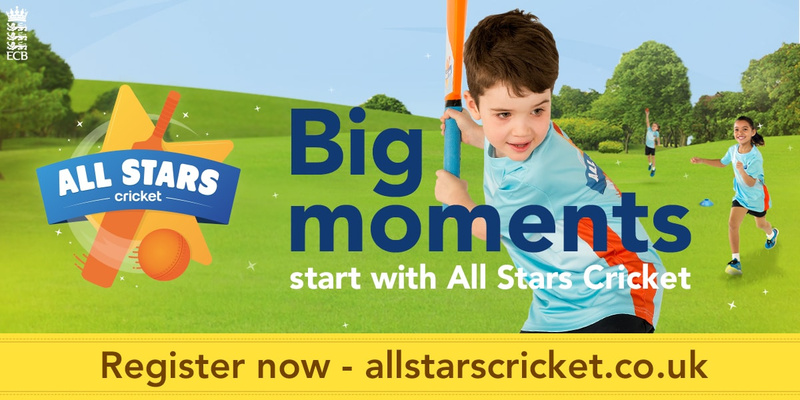 All Stars is ECB's innovative programme to attract 5-8 year old kids to Cricket. For an all in cost of just £40, children receive eight weeks coaching at one of the centres, plus a bat, ball, cap, All Stars Cricket activity book, a backpack and personalised t-shirt. The activity and game based programme is suitable for all skill levels, providing children with the foundations to begin a life-long love of physical activity and cricket while also making friends in a safe and enjoyable environment. WCBL Cricket Development Director Tom Hill said, "This is probably the most exciting programme we've been involved in because it is so well thought out and so well planned. "It really is about inspiring the next generation of five to eight-year-olds who are the future of the game to get involved in cricket - and it couldn't make it easier for them. From a parents perspective, they will get everything they need for £40, with no additional costs." He added, "All the things you worry about as a parent, how much will it cost, will my child have what they need, are all taken away. It's just ensuring kids have a great experience and hopefully sharing that experience with their parents and having a really good family time at their local club."